Topaz’s Box Spacing Connector has a versatile design for multiple uses. Use as a back to back connector serves to join j-boxes back to back in open wall spaces. Also designed for use in a short raceway to connect j-boxes through their conduit knockout openings. 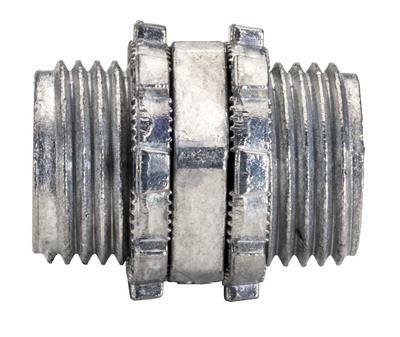 Featuring twin locknuts; fabricated in rugged zinc die cast in 1/2” or 3/4” sizes.